One of the interesting people I got to meet this year is Stephen Covey. 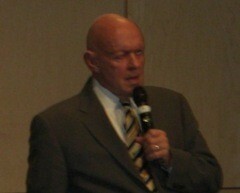 It was amazing to experience Stephen Covey in person. This post is a bit longer than usual, but hey, Stephen Covey has a wealth of insights. Here are some of my highlights from Stephen Covey’s presentation. Covey opened with a story of Captain Horatio Hornblower. As the story goes, one night at sea, Horatio awakens to find that a ship is in his sea-lane about 20 miles away and refuses to move. Horatio commands the other ship to move starboard, 20 degrees at once. The other ship refuses and tells Horatio that he should move his ship starboard, 20 degrees at once. Next, Horatio tries to pull rank and size on the other ship, stating that he’s a captain and that he’s on a large battle ship. The other ship replies, and it turns out it’s not actually a ship, but a lighthouse. The take away from the story is, there are lighthouse principles–You don’t break them. You only break yourself against them. Don’t break yourself against lighthouse principles. Principles drive the consequences of behavior. If you take the short cuts in life, you pay the price of confidence and trust. Build your personal value system on principles. Covey asked us whether we had personal mission statements? Some folks raised their hands. He then asked us how many have them written down. A lot less kept their hands raised. I kept my hand raised because I happen to have my personal mission statement written down. My personal mission statement is, “To find the best way for any person to succeed in any situation.” I tie this back at work, where I try to help customers be as effective as possible.. Covey then challenged the audience whether we had mission statements for our families? That one made me think. He then challenged, if you asked your loved ones, would they know it? Now there’s a good test! 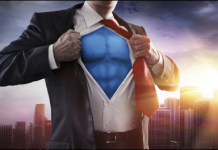 Covey reminded us that writing down your mission imprints it in the subconscious mind. He added that visualizing also imprints on the sub-conscious mind. The take away is that you should write and visualize your mission statements. Follows the natural laws of principles. Covey told us that the power of a mission statement is that it governs every other decision. Covey introduced his son, Sean Covey. Sean wrote The 7 Habits of Highly Effective Teenagers and The 6 Most Important Decisions You Will Ever Make. When Covey introduced Sean, he also mentioned a 49th grand-child on the way. 49 … WOW! That’s quite the impressive team. Covey asked us how many struggle with work/life balance. Many hands went up. He then asked us what we think is the percentage of time we spend on things that are urgent, but not important. He said people often report they feel they spend 50% of their time on urgent, but not important tasks. Why is that? Covey stated it’s because everybody defines purpose differently. Covey asked us how much time people spend in office politics. By office politics, he meant, reading the tea leaves, dealing with hidden agendas, fighting cross-group conflict, … etc. The data says that 75% of people claim they spend 25% of their time on these things. 25% say that 50% of their time is spent in dysfunctional activities. Urgency replaces important activities. The key take away is that people feel they spend a lot of time on dysfunctional activities. The take away here is that these are ineffective behaviors and you end up acting like a victim. Covey asked us whether we can use our full talent and capacity in our organization. He then asked us whether we feel the pressure to produce more for less. The point here was to emphasize how there’s a demand for greater results, but that we’re not necessarily utilized to our full potential. Covey gave us a scenario where somebody gets a map of Seattle. The problem is, the map maker made a mistake. It’s not really a map of Seattle. It’s a map of Oregon. With this map, you can’t even make it out of the airport. There isn’t one corresponding point. Trying harder isn’t the answer. If you double your speed, now you’re lost twice as fast. Thinking negatively isn’t the problem. Covey said some people might try to use a PMA (Positive Mental Attitude.) Well, that doesn’t help either. Now you’re all psyched up, but really you are just happy and contented in a lost state. The take away here is that it’s not behavior and it’s not attitude. It’s a bad map. Covey told us that we need to be self-educating. School taught us how to learn, but we need to continue to learn. He said we need to be willing to pay the price to be self-educating, which includes being systematic and disciplined. Covey points out that 20 years ago, it was about goods and services. Today, it’s about knowledge workers. Management The Boss owns responsibility for results, therefore manages and motivates. The culture owns responsibility for results, therefore self manages. Covey asked us what we are called in spreadsheets. He said that in spreadsheet and financial accounting, people are called expenses and cost centers, while things like microphones, tools, and machines are called assets. He said this is left-over from the industrial age. Covey asked how do you help people find their voice? You ask them what are they good at? What do they love doing? What is your greatest unique contribution? The key is finding a voice that meets a human need. The Jackass Theory refers to the carrot and the stick. Covey asked us what kind of supervisor do you need when you have a job that you are passionate about and is using your talents and you feel you are appreciated. People are volunteers. You want them to contribute their greatest, unique contribution. Accountable to the team / everybody. One person may represent the group, but accountability is to the team versus the boss. Accountability to the team versus an individual is a knowledge worker concept. Help them find their voice. Find out what individuals are good at and like doing and serves the needs of the business. Covey mentioned that light is the greatest disinfectant in nature. For the knowledge worker, it’s information. For a knowledge worker to be effective in a team, they need information, they need the criteria for success and they need to be accountable to the group. Covey reminded us that today’s workforce is about directed autonomy. You manage (things) that can’t choose. You lead people. People have the ability to choose. Today’s world is about breaking away from a control paradigm and shifting to one of directed autonomy. Help people find their voice. You can’t buy the mind, body, heart, and spirit – they are volunteered. Use all four parts of your nature. If you take one away, then you’re treating a person as a “thing” that you control and manage. The culture was committed in hearts and minds. The job was fulfilling and meaningful. You give the stick to the other person first. You don’t get the stick back until the other person feels they are understood. The purpose is not to agree, or disagree, but only to understand the speaker. You don’t need to use an Indian talking stick. You can use any object. The value of the object is that you don’t get it back until the other person feels understood. People are an expense, tools and machines are assets. Supervision is an industrial age concept. One-on-one accountability to a boss. Comparison systems for the basis of collaboration. Covey stated that communication is the number one skill in life. He went on to say that empathic listening is the number one communication skill. 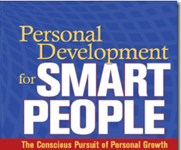 Covey explained that empathic listening is listening within the other person’s frame of skills. Listening empathically is listening with the other person’s frame of reference. The key is to listen until the other person feels heard and understood. A satisfied need, no longer motivates. Covey used the example of air – it’s a satisfied need. When the other person feels heard and understood, it’s more likely they will listen to you and that you can seek a better solution, that’s mutually beneficial. You are no longer telling and selling. Covey showed the audience three pictures. One half of the audience looked at the first picture. Next, the other half of the audience looked at the second picture. Then the full audience looked at a third slide which was a composite of the first two slides. Depending on which of the pictures you saw first, influenced what you saw in this third picture. Put up the two points. The key here that Covey mentioned is that most people will not pay the price of listening empathically. Covey shared a slide that framed out the seven habits of highly effective people in terms of private victory, public victory, dependence, independence, and interdependence. Habits 1,2,and 3 are the foundation for private victories and integrity. Habits 4, 5, and 6 are the keys to public victories. Covey made a distinction between peace of mind and peace of conscience. He explained that integrity is more than honesty. Integrity means that if you make a promise, you keep it. If you’re honest, you might have peace of mind, but if you don’t have integrity, then you won’t have peace of conscience. You have peace of conscience by avoiding duplicity. Covey made his point very simply – only talk about people as if they are there. You can be critical, but speak as if they were there in front of you. Don’t bad mouth them behind their back and then sweet talk them to their face. This is a lack of integrity and creates deep duplicity inside you. This inhibits your ability to have peace of conscience. Let me listen to you first. Ethos – credibility, model trust. Get out of victimism – You’re not a victim of your circumstances. You are the creative force of your life. Empathize first. Grow your circle of influence. Make tremendous impact. While I enjoyed the entire session, my favorite part was getting to meet Dr. Covey. 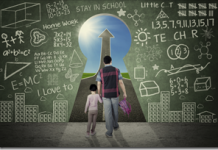 Develop personal / family mission statements and help others to do the same. Develop empathic listening and help others to do the same. Find our voices and help others find theirs. Personally, I want to make more use of the Indian Talking Stick Communication technique, particularly at some of my more vibrant meetings. Hi J.D. – This is such a comprehensive collection of valuable points. What a great thing to read as we begin a new year. I especially appreciate the list of six behaviors that metastasize – so true. This information will be extremely helpful to me in a couple of weeks when I rally the troops against the recession stinkin’ thinkin’ at our franchise advisory council meetings. Thank you so much, and best wishes for a wonderful New Year! Great to hear! Covey’s impressive and he’s got amazing presence. Good luck rallying the troops and happy New Year! I thouroughly felt like a just had a mini workshop. Thanks for your detail orientated and organized structure. I do agree wholeheartedly that ampathetic listening is one of the greatest assets to have. Thanks. I needed this. Its like a place to find the key points of Dr. Covey’s teachings. What a great post to read over before leaving work for home (and vice versa). Thanks for pulling all of this together for us. I found this link through your Stephen Covey Leaves a Legacy post. This is simply brilliant! What you have done really speaks about the LEGACY Dr. Covey talked about.